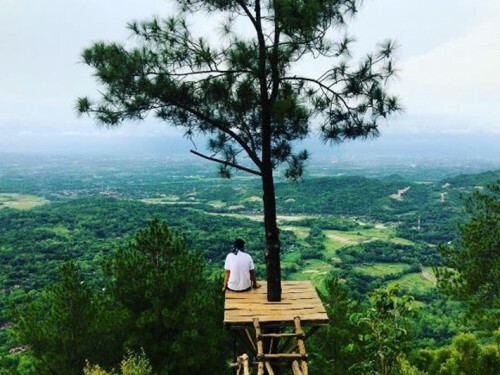 Home Java 6 Unique Photo Spots to Enjoy Yogyakarta Above the Clouds! 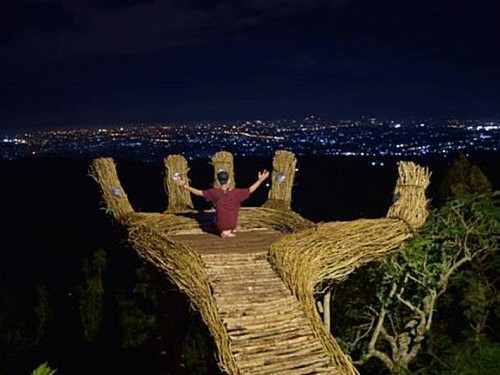 Perched on 450 meter above sea level on the hills of Menoreh, Kalibiru was the pioneer of these viewing deck trends in Yogyakarta. Kalibiru offers quite a phenomenal background view of the Sermo Dam surrounded by luxuriant greeneries beneath the clouds. A heart-shaped deck is a new vantage spot to create those epic holiday pictures. There is also a larger deck where you can pose with your family and friends. Located near the renowned Parangtritis beach, this area houses historical ruins of Japanese caves dating back to WW2. There are 18 interconnecting bunkers that used to function as a fortress complex. 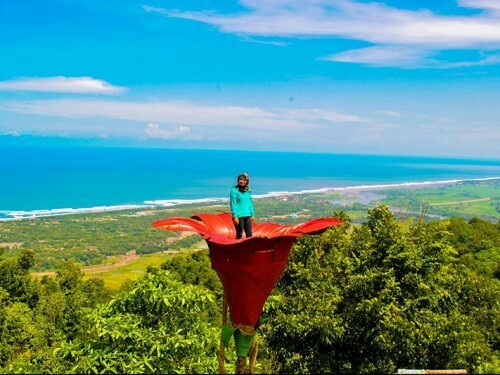 An eye-catching giant structure of bright red blooming hibiscus or locally called “kembang sepatu” is the highlight of this very spot. You can enjoy a mesmerizing view of the waves touching the shorelines, fringed by lush green forestry, while taking a one-of-a-kind perfect pose. The pine forest of Pinus Pengger is not a new destination for tourists, but the newly constructed viewing decks are the hype for selfie seekers and photography hunters today. The Giant Hands is quite an iconic structure, leading you to endless scenery of trees and the cities beneath your seats. Another spot is the Indian Hut, perfect for night photography, as it frames the flickering night lights of Yogyakarta from a distance. Developed in 2016, the hill used to have just a simple viewing deck for sightseeing around the green gorgeous nature. Today, there are a few more additions to satisfy the selfie generation with unique travel pictures. 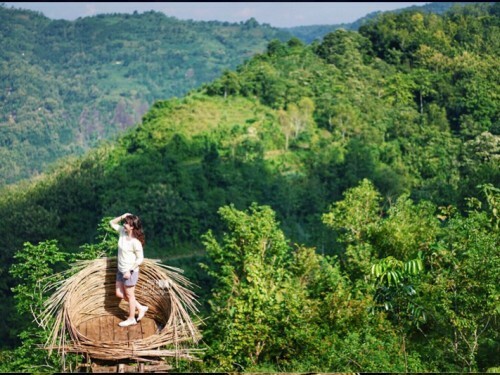 The Bird’s Nest will cradle you above a marvelous scenery of forest and river. 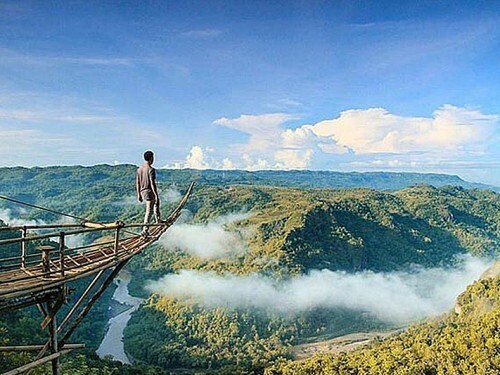 Stroll around to find the giant sunflower platform and the bamboo bridge jutting above the cliff. A small venue with a spectacular view is what this place is all about. 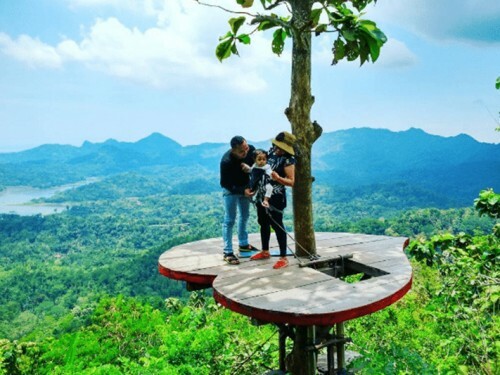 With a ship shaped viewing deck made of bamboo, giving the illusion of floating towards a breathtaking sunrise, this place has slowly gained popularity. Rising hills and the curvy flow of the Oya river become the highlight to enjoy at this magnificent point. Be prepared for the soft mist to sweep you off your feet to leave you in awe.